Michael White, who used to serve in the aviation maintenance administration in the Navy before his retirement, was sentenced to 10 years in prison on Monday, the American’s lawyer, Mark Zaid, told media. White was arrested in July in the town of Mashhad, the Los Angeles Times reported, citing his family. Few details are known about the charges he faced and was convicted of. Zaid said that White was facing two separate charges, one of which was insulting Iranian Supreme Leader Ali Khamenei. It’s unclear how and under what circumstances White committed the offense. Another charge was linked to posting private information online, which is punishable in Iran. The ‘private information’, according to Zaid, is an Instagram photo of White with his girlfriend who lives in Iran. Commenting on the new twist in White’s case, the US State Department said it was keeping tabs on the situation, stressing that there has been “no higher priority” for Washington than the “safety and security of US citizens abroad.” It did not elaborate on its plans. White’s detention and heavy sentence are bound to further inflame tensions between Tehran and Washington, which the Trump administration has worsened to almost a critical point. 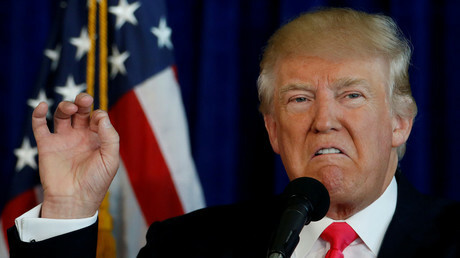 Even before he became president, Donald Trump unleashed scathing attacks on Iran, denouncing the Iran nuclear deal as the “worst deal ever.” Since he pulled the US out of the agreement last year, Trump has ratcheted up pressure on Iran even further, threatening to annihilate the country in an all-caps Twitter outburst if it ever threatens the US.